Pet health experts estimate that about one in five adult dogs have a form of arthritis called osteoarthritis, an often painful condition affecting the joints. But your dog can't tell you when he's hurting. 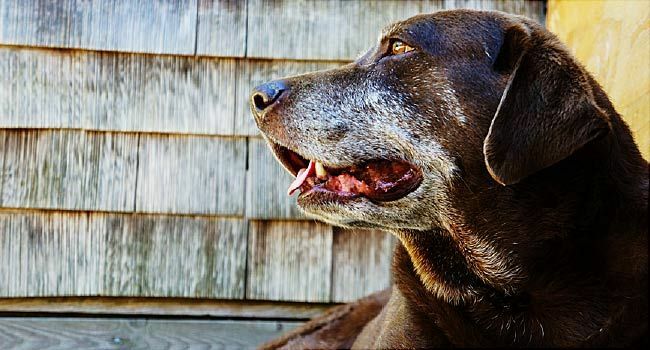 Maybe you've noticed your older dog isn't as eager to climb the stairs or jump into the car as he once was. Or perhaps he's limping, sleeping more, and playing less. These could be signs of osteoarthritis, says Alicia Z. Karas, DVM, an assistant professor of clinical sciences at the Cummings School of Veterinary Medicine at Tufts University. "Osteoarthritis is an inflammatory condition of the joint," she says. "It can result from overloading the joints or from injury. Then the inflammation persists." Osteoarthritis is a chronic disease in which cartilage, the protective covering on bones and joints, wears down, leading to pain. Just like in humans, the disease can affect any joint in the body. Your dog may have pain or breakdown in the front or back legs, hips, elbows, shoulders, spine, and even toes, says Karas. It's probably the most common reason for lameness in older dogs, she notes. What can you do if your dog shows signs of lameness or pain? First, get him thoroughly checked out by your vet, says Karas, as there could be many reasons for lameness, from muscle pain to a torn ligament or even cancer, which is important to get diagnosed right away. And though osteoarthritis can't be cured, you can help your dog feel better and prevent further injury. Here's what our veterinary expert recommends. Keep your dog at its best weight. "Obesity is associated with an increase in lameness and problems with mobility," says Karas. "Part of that is because the dog's joints are overloaded. Another part is that fatty tissue is pro-inflammatory and will make joints hurt more." Know your dog's body condition score (BCS), which is similar to a body mass index (BMI) for humans, Karas says. Avoid giving treats and overfeeding to either help your dog lose weight or stay at its best weight. Trim toenails. "Long toenails are the equivalent of wearing shoes that don't fit," says Karas. When nails are long, they can affect how your dog walks, changing the way the muscles and joints work. Keep nails trimmed. Create traction. "Picture the floors in your house being an ice rink," says Karas. It's hard for your dog to get a grip when walking on hardwood floors or those with high-gloss finishes. Put runners, yoga mats, or carpet tiles down that you can pick up and move, so that your dog has a textured surface to walk on. This will help prevent slipping or splaying, which can injure muscles as well as joints, says Karas. Avoid the weekend warrior syndrome. "Your dog will follow you off a cliff," says Karas. If you take your dog for a long hike on the weekend, he's not going to tell you he's tired and you should turn around, she says. Keep exercise time within reason for your dog's fitness and comfort level. Also avoid high-impact activities like running and jumping, which can increase joint pain and inflammation, advises the American College of Veterinary Surgeons. Stick to regular leash walks that help build muscle around the joints. Consider a supplement. Several small studies show that fish oil supplements may help ease pain and lameness in dogs with osteoarthritis. Because supplements aren't regulated and vary in quality by brand, talk to your vet first if you're considering giving a supplement, says Karas. Try acupuncture. The American Animal Hospital Association recommends acupuncture as a safe treatment for pain in animals. Ask your vet for a recommendation for a veterinary acupuncturist, someone trained to use the needles that may help ease pain and increase blood flow to muscles. See a specialist. Like sports medicine doctors in humans, a specialist trained in canine rehabilitation could help your dog. Rehab might involve massage, stretching exercises, or even water therapy. While studies on alternative therapies are scarce, body work done by a specialist may help make your dog more comfortable. "If you're helping the muscles to relax, you're going to get them to work better," explains Karas, "and that's going to support the joint better, so if the joint was painful, fixing the muscle might really help." Ask your vet about your dog's pain to get the right treatment, says Karas. What is causing my dog's lameness? Limping could be caused by many conditions, including osteoarthritis. Your vet may order an X-ray (with or without sedation) and do a thorough physical exam to find the cause, says Karas. Would pain medication help my dog? Your vet may prescribe anti-inflammatory medications to help ease your dog's pain. She may also recommend bloodwork to rule out conditions (such as elevated liver enzymes) that could mean certain medications can harm your dog. Never give your dog human pain relievers, as these may be toxic. Is my dog overweight? Your vet can tell you how much your dog should weigh and calculate how many calories he needs each day for weight loss or maintenance, says Karas. Should I give my dog a supplement? Not all supplements are created equal, so talk to your vet about brands, what to expect from supplements, and what research there might be to support them, she says. 56%: Percentage of dogs that are overweight or obese, according to the Association for Pet Obesity Prevention. About 6% to 8%: Percentage of weight loss in dogs that significantly cut lameness in obese dogs with hip osteoarthritis, according to one small study. A score of 4 or 5: Total out of 9 on the body condition score that is ideal for dogs. Alicia Karas, DVM, assistant professor, Cummings School of Veterinary Medicine, Tufts University, North Grafton, MA. Association for Pet Obesity Prevention website.